Craving for flesh, the spirit creates. The cannibal’s lust, the monster exhumes. But never shall sate the Wendigo beast. I was invited by Victoria Thurman, the fantastic author of The Dating Dilemmas of Delilah Dunnfield, to participate in a question and answer blog interview about my newest book. I was thrilled to participate. I have added her link to the bottom of my page. Please take a look at her interview and read about her book. The idea of Amber and Blue II-Victory came while I was nearing the end of Amber and Blue. I had nine single spaced pages of ideas before the first book was copy edited. The three main characters were not quite finished with their story. I would like to see a slightly shorter version of the T-Mobile girl for Grace. I do not have anyone in particular for Alex or Lucien, but my search is thorough and diligent. This consuming romance pulls you from the banks of the Tennessee River, and drops your heart and emotions into the war torn streets of Old Montréal. Amber and Blue II-Victory will be self-published through Amazon and Smashwords. Smashwords will then distribute to Itunes, Barnes & Noble, Kobo, and many other vendors. The first draft took about two and a half months. The story is complete but I wrote it as fast as it came out of my head. Now, I am in the much longer editing process. I am unable to honestly compare it to other romance novels. It’s really not just romance. This book has quite a bit of action and suspense. I will have to let the readers decide. This book was 100% inspired by the first book Amber and Blue. With the hopes that the reader has finished Amber and Blue, and is dying for its sequel, Amber and Blue II-Victory will show the reader just how far human selfish desire can push one of the characters. Lucien finds that his gnawing obsession is uncontrollable and he will do anything to get what he wants. Will the amber eyed Lucien kill Alex to get him out of Grace’s life? Or will the precious blue eyed Alex lose control and kill Lucien while protecting the girl that he knows belongs to him? 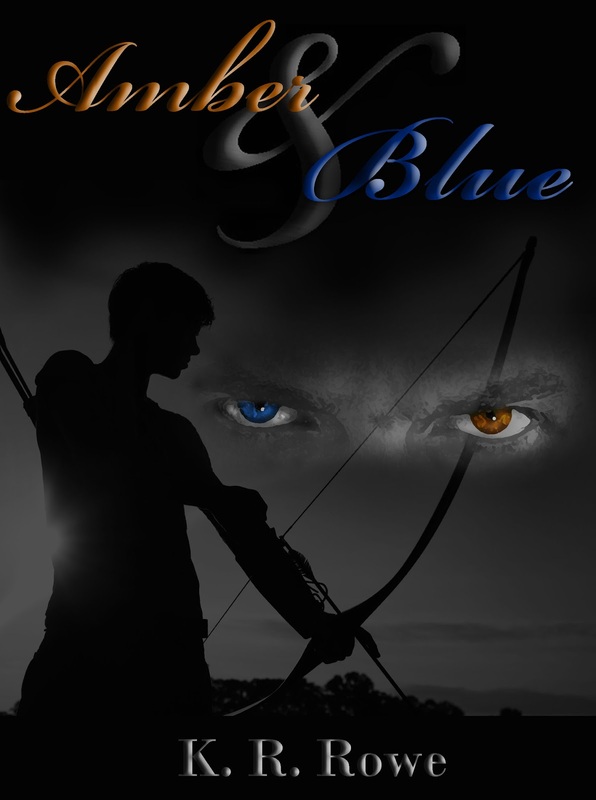 Check out Amber and Blue, and then Amber and Blue II-Victory to find out. I am also tagging a few wonderful authors below. Please take a look at their “Next Big Thing” and see what they are up to as well. Ima Shrew, author of You Cheated On Me With THAT?! and her upcoming release They Always Affair Down. P. J. Bayliss, author of Restraint. Please stay tuned for the link to his blog post where you can learn more about his recent release of poetry.